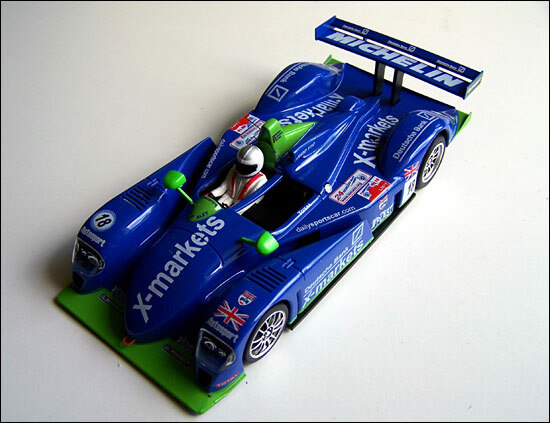 Thanks to Fair International (the French importers of the Spirit and NSR slot-car models), Pascal Felix and the latter’s retail outlet, V.P.C (Voitures Pour Circuit), we have five signed models of last year’s #18 Rollcentre Dallara Judd to offer as competition prizes, plus one Rollcentre Mosler (the 2003 Spa 1000 Kms car). The Mosler won its class in this race - which featured an outstanding last hour, Barbosa versus Erdos, the latter in the Spirit-backed Balfe MT900R. 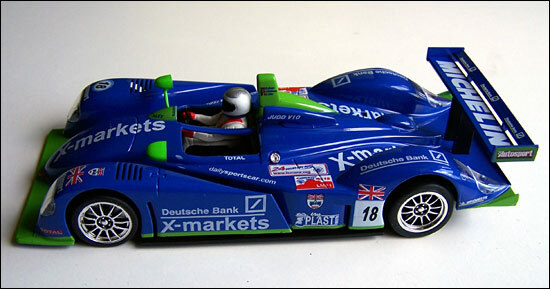 The Dallaras are manufactured by Spirit, a Spanish company, and are top quality slot cars, as you can see in the image on the right, while the Mosler is also a slot car, again a very high quality example, manufactured by NSR, in Italy. Martin Short doesn’t know it yet, but he’s going to be signing all six models, and the overall winner of the competition will win the Mosler and a Dallara, while the next four best entries will receive a Dallara. The question is a simple one: predict, to the nearest thousandth of a second, the qualifying time of the LMP2 Rollcentre Radical, on Wednesday and Thursday at Le Mans this week. Answers to mcc@dailysportscar.net, with your full name and postal address. The best guide we can offer is Joao Barbosa’s lap time of 3:43.373 at the test day on June 4, although Martin Short has indicated that if Barbosa really goes for a fast one in qualifying, he might dip below 3:40. The team owner isn’t particularly interested in a fast qualifying time though – so your problem is going to be working out whether the Portuguese does go for a (pole?) time or not. The competition will close at 19.00 CET on Wednesday June 14, just as qualifying begins. Pascal Felix and his V.P.C. 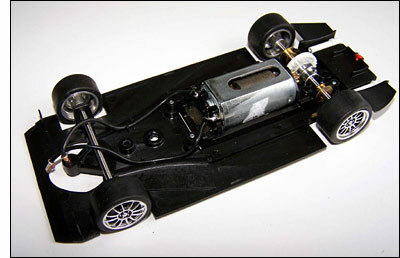 shop will have a full range of models on sale at the circuit here, from Wednesday. The shop will be located behind the start-line Tribunes, numbers 20 and 21, known as Leonard and Tavano. 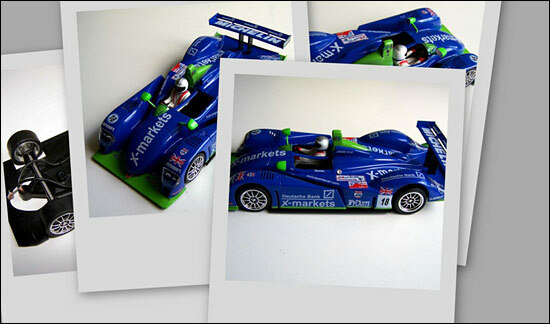 Pop along and see Pascal if you’re considering buying any models – and do tell him if you’ve entered the competition!